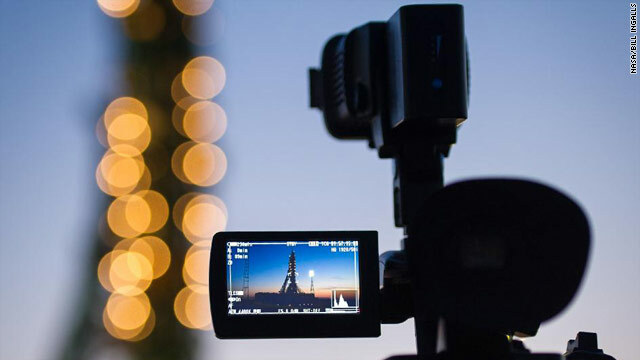 "The Soyuz rocket is seen in the monitor of a video camera moments before Soyuz Commander Gennady Padalka and flight engineers Joseph Acaba and Sergei Revin arrived to board the rocket at the Baikonur Cosmodrome in Kazakhstan for their flight to join their crew mates already aboard the International Space Station. The craft successfully launched at 11:01 p.m. EDT, Monday, May 14, 2012. The trio will dock to the station’s Poisk Mini-Research Module at 12:38 a.m. Thursday, bringing Expedition 31 to its full six-member complement."